What do time-traveling Nazi UFOs, space pigs, and a hot French Resistance babe code-named the French Tickler have in common? They're all about to run head-on into Duke Nukem, and for some of them (the ones that don't look good in bikinis, that is), it's gonna end painfully. 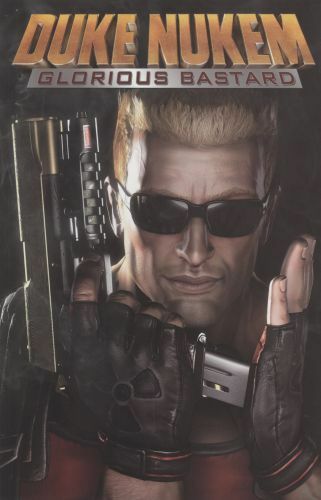 Video game legend Duke Nukem tears it up in his first-ever graphic novel! Written by Tom Waltz (Teenage Mutant Ninja Turtles) and illustrated by Xermanico. The King is finally back, baby, and he's bigger and badder than ever!